Erin Clark has been an nurse for 16 years. She spent her her early nursing career in acute care settings at Harborview Medical Center and Sacred Heart Medical Center. 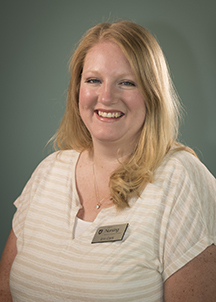 For the last 12 years, Erin has worked in home health at Providence VNA Home Health in direct patient care. She has held many leadership roles including Patient Care Coordinator, RN Triage, and Clinical Manager. She loves to learn and to be on the leading end of progress and change. Being able to gain experience and then pass that on in an academic role to future nurses has always been a dream of hers. Cardiac, IV therapy and Infection Control, developing best practices and policies and procedures for point of care documentation systems at SHMC and Providence VNA Home Health.